Mueller, the Justice Department's special counsel, ran the most important but least understood big inquiry into whether Trump's campaign conspired with the Russians who interfered in the 2016 presidential election. Trump goes back and forth regarding what he accepts about that interference, but he has been steadfast that neither he nor anyone in his campaign had anything to do with it. On Twitter, the president has repeatedly called the notion there was any collusion or conspiracy with the Russian effort a "hoax," and Trump has frequently referred to the Mueller investigation as a "witch hunt." More recently, Trump has also begun to refer to the multiple investigations into him, his associates and his business dealings as "presidential harassment." The completion of Mueller's work doesn't mean the broader Russia imbroglio is over, however — and investigators are also looking into a number of other topics beyond Russian election interference. At least eight federal criminal cases are ongoing. In Congress, the Senate intelligence committee has yet to complete its 2016 election interference investigation and issue a report, and multiple committees in the House have launched wide-ranging inquiries on multiple topics beyond the Russian interference issue. Prosecutors have charged GOP political consultant Roger Stone with obstruction, witness tampering and lying to Congress in connection with his work in 2016 on behalf of Trump's campaign. Stone has pleaded not guilty, and that case could go to trial later this year. The case against the Russian company Concord Management and Consulting, which has been linked to Russia's social media disinformation campaign, continues in Washington, D.C. Prosecutors are charging former business partners of Trump's ex-national security adviser Michael Flynn in a case in the Eastern District of Virginia. Flynn — who pleaded guilty to lying to investigators and cooperated extensively with the FBI — hasn't been sentenced. The government said it would be fine with a lenient sentence, but it will be up to a judge how and when to finally decide Flynn's punishment. Another important outstanding case is that of Rick Gates, a business associate of onetime Trump campaign chairman Paul Manafort. Gates also has been cooperating with investigators since pleading guilty last year to conspiracy and making false statements. Justice Department officials have said in court documents that he has given so much good information they want his sentence to be delayed so their work can continue. Prosecutors in Washington secured a guilty plea from a Russian woman, Maria Butina, who admitted to conspiring to serve as a Russian agent inside the U.S. Her boyfriend, Paul Erickson, has been indicted on fraud charges in South Dakota — but the question remains open as to whether he might also be charged in a case related more closely to Butina's. Erickson has pleaded not guilty and said he has done nothing wrong. His attorney called him a "good American." Then there is the matter of WikiLeaks founder Julian Assange. Assange's anti-secrecy website released material in 2016 stolen by Russia's military intelligence agency as part of its scheme to interfere in the presidential election in support of Trump. There may be a sealed indictment in his case — or a grand jury may be working now to compile more information for new charges. Assange's attorney has said he doesn't know whether there is a sealed indictment but calls it unacceptable that authorities might try to charge Assange for publishing truthful information. In New York City, prosecutors have charged the Russian attorney who met with Donald Trump Jr. and other top campaign officials at Trump Tower in June 2016 to provide a political tip about Democrats. The lawyer, Natalia Veselnitskaya, has been charged with obstruction of justice in an unrelated case that revealed how closely she worked with the Russian government — although she isn't expected to appear in court. The U.S. Attorney's Office in Manhattan and other investigators also are reportedly investigating Trump's 2017 inaugural committee, looking to establish whether it may have broken the law by, among other ways, raising money from foreigners. Investigators also may continue looking into other broad areas, including lobbyists and advocates who worked on behalf of Ukraine's government but didn't report that appropriately. Several people and at least one big law firm have been swept into the Russia imbroglio over problems with the Foreign Agents Registration Act. The Senate intelligence committee has been investigating the Russian interference in the 2016 election since before Mueller took the reins of the FBI probe and has issued a few major reports with its findings. The panel may file its final report this summer — if Democrats and Republicans can agree on one. Chairman Richard Burr, R-N.C., has said he hasn't seen any evidence that the Trump campaign colluded with the Russians. Vice Chairman Mark Warner, D-Va., has suggested that he doesn't share that interpretation of what the panel has uncovered. Democratic members in the House, meanwhile, are pursuing a number of investigative avenues with their majority control of the Judiciary, oversight and intelligence committees. Oversight committee Chairman Elijah Cummings, D-Md., fired a blast of requests for information from a number of people and entities in early March. He wants to know more about everything from the White House's protocols on handling security clearances to the Trump Organization's business practices to the conduct of Trump's sons Donald Trump Jr. and Eric Trump. Judiciary Committee Chairman Jerry Nadler, D-N.Y., meanwhile, presides over the committee that would have the responsibility of introducing articles of impeachment against Trump. 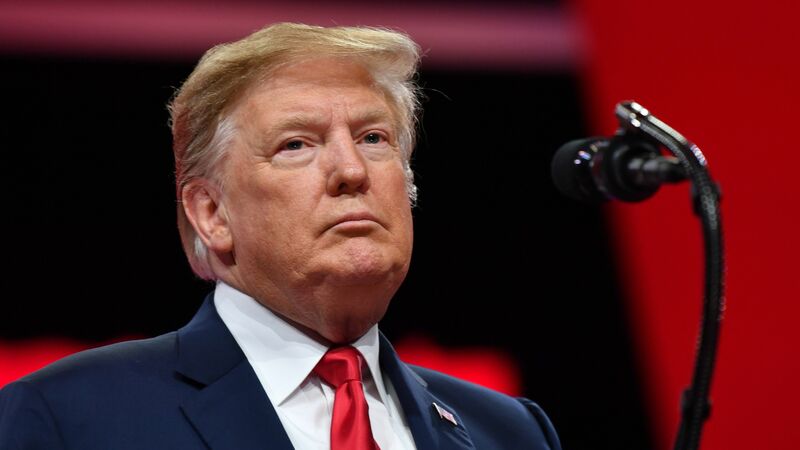 Nadler has said he believes there's already evidence that Trump committed acts that may rise to the level of impeachment, especially what Nadler has called potential obstruction of justice. But the chairman also said he wanted to wait until Mueller's report was complete before he — and House Speaker Nancy Pelosi, the leader of the Democrats — would decide what to do about the president. Impeachment is a political process, and Democrats control only the House. They must assess whether it's worth the impact it might have among voters to impeach Trump without being confident that the Republican-controlled Senate would go along and remove the president from office.